1. What it the meaning of orders by sea? Orders by sea is a very common shipping way for international business. When you want to import some cargoes very heavy or in large volume, it will cost too much money if ship it by Express or by plane, you can choose to ship your orders by sea which can save much more money than ship by air or by express. 2. What are the advantages and disadvantages of the orders by sea? a) Suitable for long distance transportation. b) Can save much more shipping cost for you. a) It is slow than ship by air and express. b) Easy to be influenced by the weather. c) Arriving time is not easy to guarantee. 3. What orders will be recommended to ship by sea? We recommend our clients to ship the cargoes by sea if the volume more than 0.5 cubic meters or the weight more than 100 kg. 4. What value of the orders can I ship it by sea? You can ship the orders by sea at any value, but if the order value is too little, you will find the the sea freight and the handling cost too much to compare with the order value . so we advise you to ship your order by sea at $3000 or more. 5. Can I ship my orders by Express if it is more than 100 kg or 0.5 M3? 6. Can I ship my orders by my own forwarder? 7. How can I know the sea freight to our country ? 8. If there is other cost besides the sea freight? 9. How can I choose the proper destination port? You can choose the sea port most near your factory or office. 10. How can I do if there is no my country or destination port? Pls send email to overseas17@sign-in-china.com or inquire our online customer service stuff. 11. Will my orders ship to the port or to my office? Normally it is from port in China to the port in your country. But if you want us to ship it to your office, you can send email to overseas17@sign-in-china.com or inquire our online customer service stuff. 12. How many days to ship by order? It depends on the destination port. If Asia countries, 5 – 15 days, European countries, 30-35 days, Northern America and Southern America 30 – 35 days. Africa countries, 35- 40 days. 13. What is the payment terms for orders by sea. We can accept the T/T payment and western union payment if the orders more than $3,000. If the orders value is not reach to $3,000, we also can accept paypal, credit card payment. 14. What is the shipping company will ship my order? If your order is LCL (less than container lade ), we will ship your order by the latest ship as soon as the order is ready to ship. 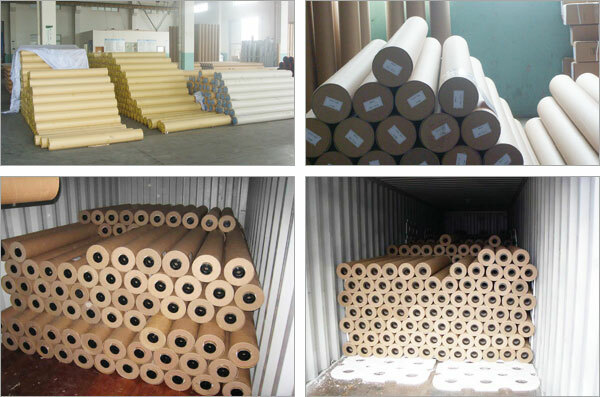 If your order is FLC (full container lade ), you can refer to the shipping company.
. Mildewproof, antifouling processed surface.
. Could be printed directly or with the film. Good smoothness, high bonding strength, stable ink absorbing, expressive force, self-cleaning, faster drying, perfect printing ability, anti-UV surface. 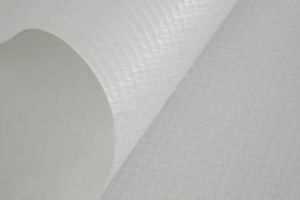 Inner cores are packed with craft paper or hard tube. 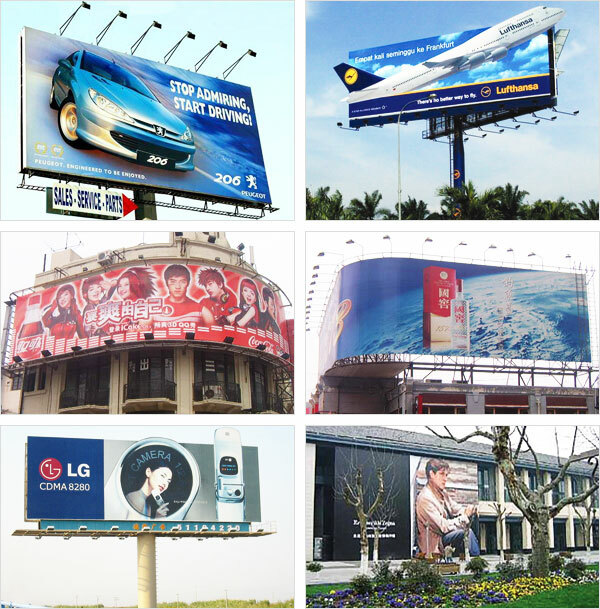 Signage, Digital printing, Screen Printing for Banner and outdoor, indoor digital printing and so on.